Moms. Grandmas. This post is NOT for you! It’s for the kids! 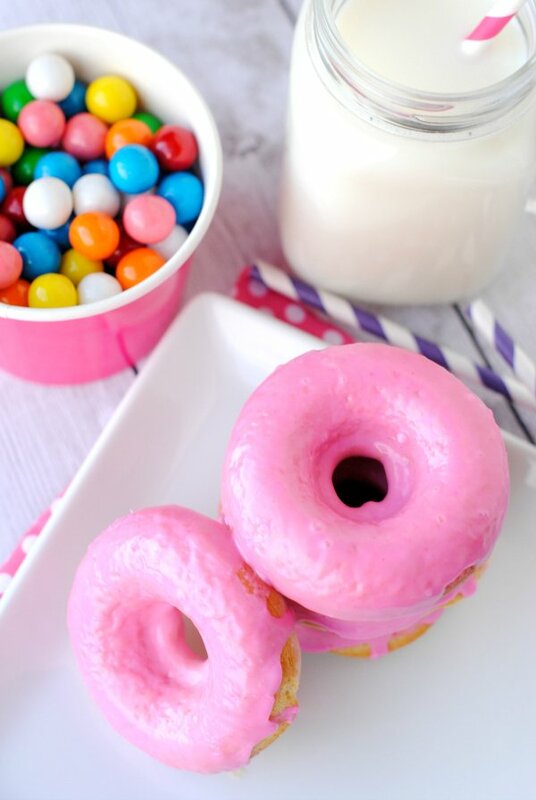 I know that when you read that title, Bubble Gum Donuts, you cringed. 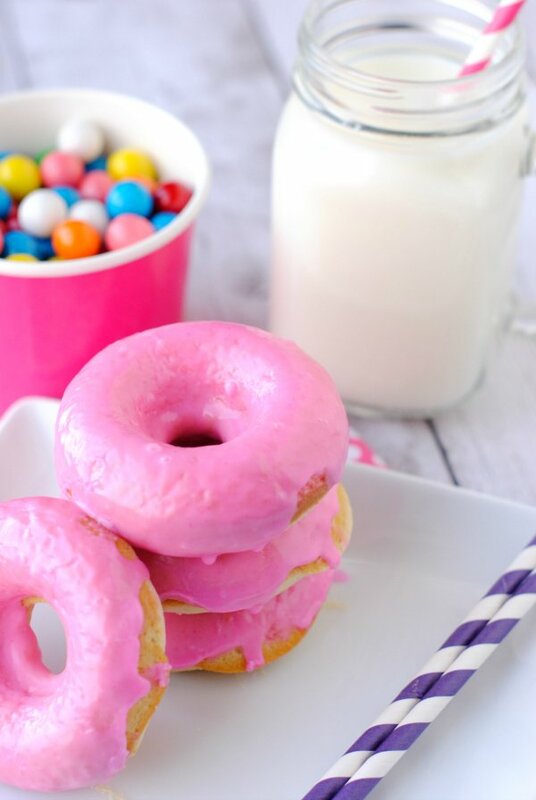 A bubble gum doughnut recipe? 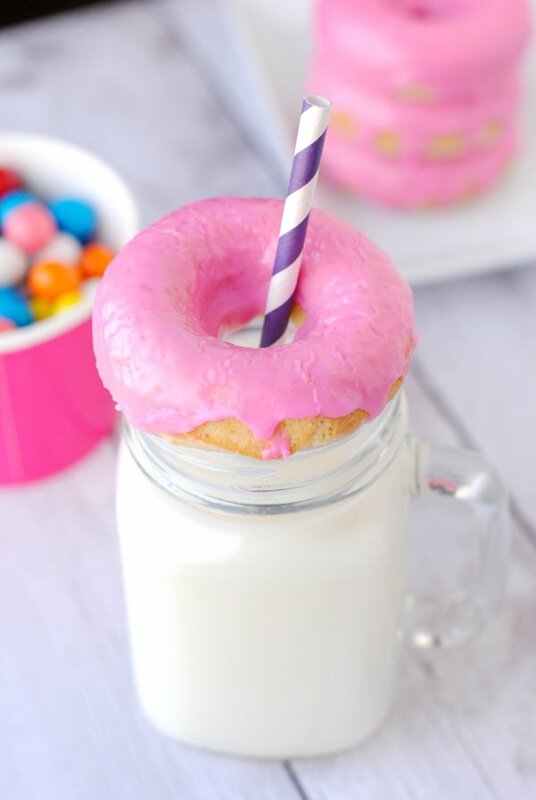 Not the first dessert idea you want to try right? But think of the children! They will love it. I know this because these were my 9 year old’s idea and they have been taste tested and approved by 5 out of 6 kids. Plus, they are so cute! 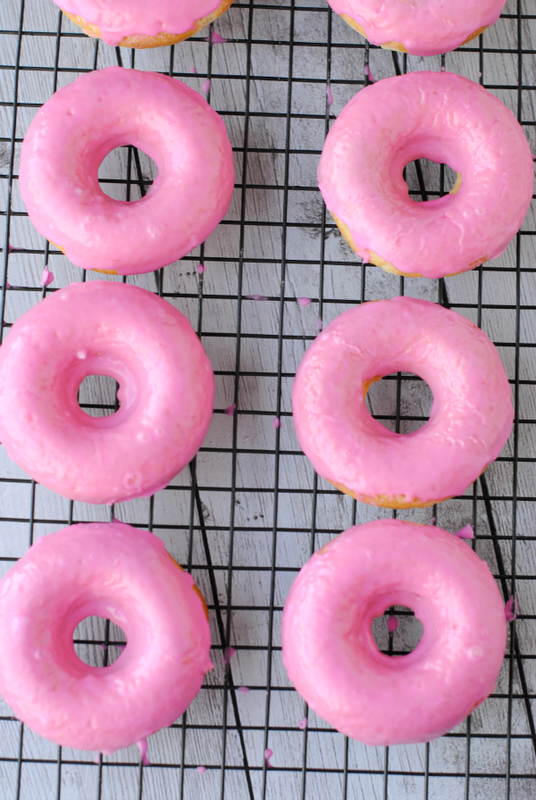 What’s better than bright pink frosting? Pair that up with some cute gum balls and the cuteness is out of control! Seriously, these are perfect for a kids party or a fun after school treat. 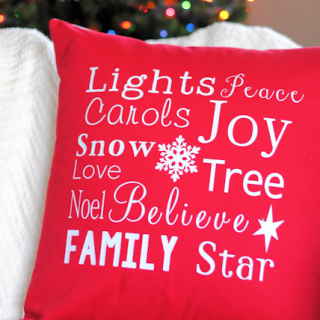 And they are pretty darn easy to make too! Combine wet ingredients and mix. Stir in dry ingredients and mix till well combined. Pipe the batter into a doughnut pan. To do this I pour the batter into a large ziploc bag and then snip off a corner and pipe it. Bake for about 9-10 minutes. Remove from oven and move to wire cooling rack.